I graduated USC with a B.S. in GeoDesign and a minor in Economics in May 2018. For my summer internship in the Los Angeles Mayor’s Office DataLA Summer Academy, my project with the City of Los Angeles Department of Transportation for the 2019 Vision Zero program was to identify a set of candidate “High Injury Network” corridors where 65% of deaths or severely injured collision cases occur. The 2019 Vision Zero program is a citywide initiative to eliminate all traffic deaths by 2025, based on a multi-national program that takes the approach that traffic deaths and severe injuries are preventable. Pedestrians and bicyclists are disproportionately affected, involved in 15% of collisions, and account for 50% of deaths. Roadway design, education, behavior, and neighborhood conditions affect safety; therefore, recognizing high-injury locations allows negative impacts to be mitigated. To conduct my analysis, I incorporated the number of collisions per mile that involved death or severe injury with various indicators, adjusting scripts developed by transportation and public health experts to local conditions to select and map priority corridors. 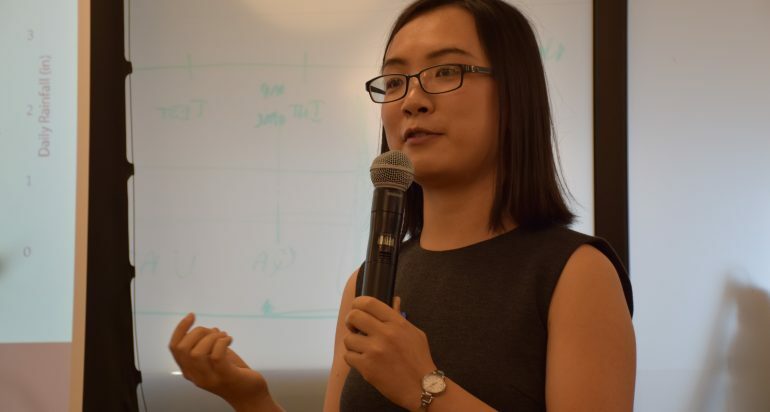 My internship highlights include communicating values and obstacles effectively to non-technical audiences, understanding the political implications of my work, and the profound realization that these data represent people, and that data-driven decision-making will save lives. The multidisciplinary course design that the USC Spatial Sciences Institute’s GeoDesign program offers broadened my understanding of how a city operates, and invited me to explore ways to collaborate with people from diverse backgrounds. From the range of major electives, GeoDesign Practicums and workshops, as well as the research experiences at the USC Spatial Sciences Institute, I have learned the importance of communicating my expertise in GIS, design, and development to a team of planners and engineers. Following my 2018 DataLA Summer Academy internship, I am pursuing a career in transportation consulting as a GIS professional, building on my interests in design and development.